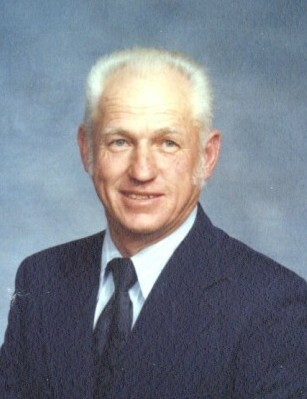 Obituary for Donal E. "Gene" Holt | Jennings Funeral Homes, Inc.
DONAL E. “GENE” HOLT, age 87 of Jamestown, passed away on Friday, March 22, 2019 at COOKEVILLE REGIONAL MEDICAL CENTER. Funeral service will be Tuesday, March 26, 2019 at 11:00 AM at the Jennings Funeral Homes Chapel in Jamestown. Burial will follow in the FENTRESS MEMORIAL GARDENS with a Military Service at Graveside provided by American Legion Post 137. The family will receive friends on Monday, March 25, 2019 from 5:00 PM to 8:00 PM at the Jennings Funeral Homes Chapel in Jamestown with a Masonic Service at 7:00 PM. In Lieu of Flowers the family requests donations be made to the Fentress Co. Rescue Squad, Alzheimer’s Association, or American Legion Post 137 and those can be left at Jennings Funeral Homes. Jennings Funeral Homes of Jamestown in charge of services for DONAL E. “GENE” HOLT of Jamestown.